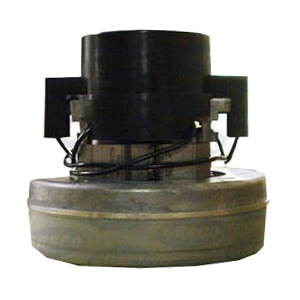 Vacuum motors can have multiple purposes, and typically get rigorous usage. For this reason, good maintenance is vital to getting a good lifespan. 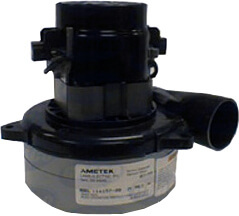 Your equipment is working with both heat and high pressure and water in most cases. 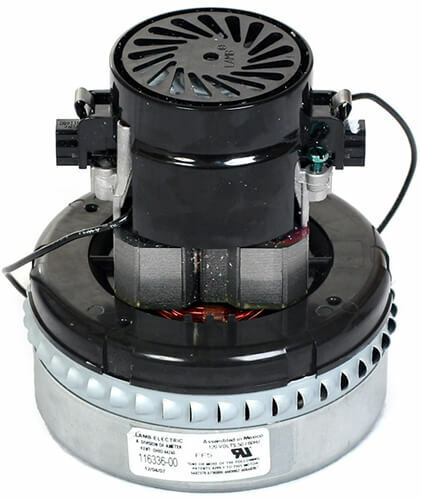 Most coin operated vacuums have two motors in the top and are usually good for about 400 hours. They are easily accessed and not expensive. If one goes out, it is likely the other will shortly after. 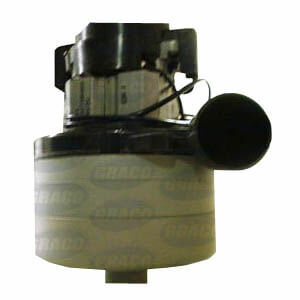 One common part to address is the carbon brushes. These will cause the motors to fail prematurely. 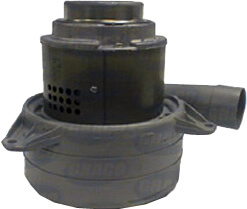 Inspection of the carbon brushes is suggested at least every two months. It is a good idea to have some spares so you don’t lose any revenue. 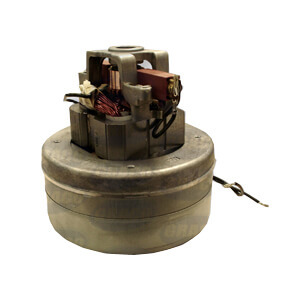 It is not uncommon to burn through a vacuum motor each 45-60 days, especially in you have 4-6 bays in your facility. When checking your brushes, also make sure the vacuum motors are secured. 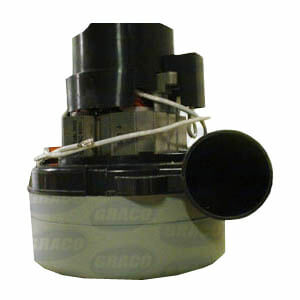 A loose motor can cause poor suction due to the motor impeller not being centered over the inlet. If the pressure is down, check your vacuum hoses for possible holes. 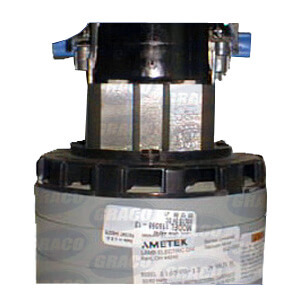 Another possible cause is if the trap door is ajar, but sometimes the motor will need replacing. 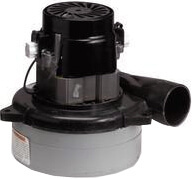 If you find dirt around the vacuum motor, check to see if the filter bag is torn or not seated right. Proper maintenance and care will ensure continuous operation and revenue. The industry average for a car wash vacuum is about $400 per month in earnings. If you have several vacuums you can see the importance of taking good care of this equipment. 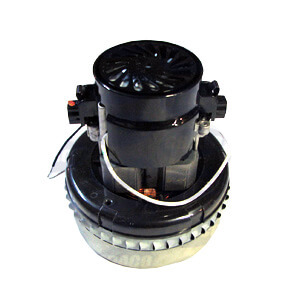 Below are vacuums suited for replacement on car wash vacuums and central vacuum systems. 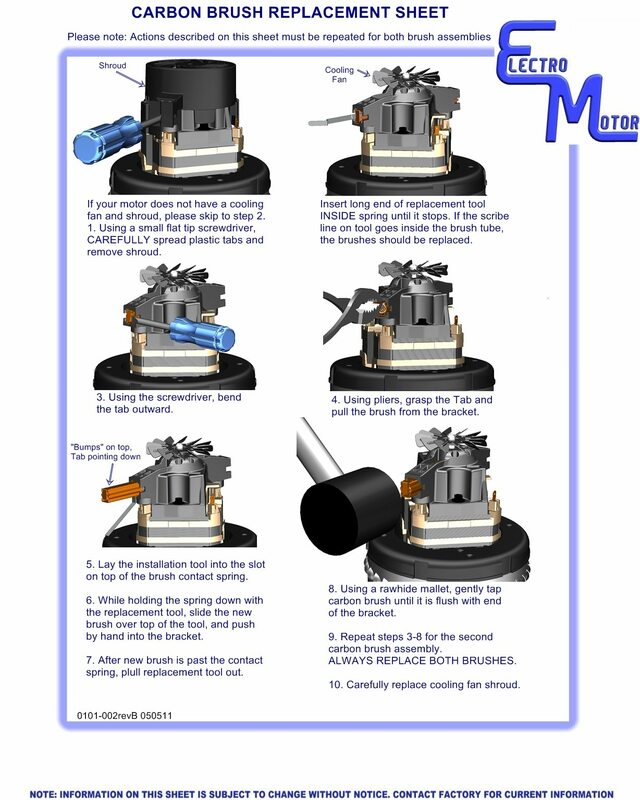 Check your owner’s manual to ensure proper matches of the replacement motor before ordering. 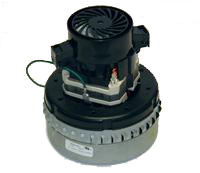 Our By-Pass vacuum motors are designed so that the air drawn in by the fan by-passes the motor and uses a separate fan to cool down the motor. 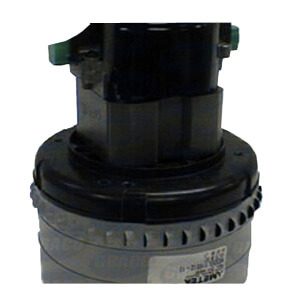 These motors are used primarily in wet application such as a floor scrubber or a wet tank vacuum. 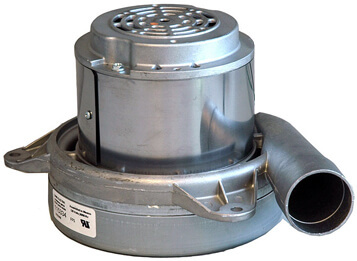 Our Thru-Flow, also known as thru-pass, vacuum motors do not use a separate cooling fan to cool down the motor, instead they pull the air surrounding the motor and use it to cool the motor off. 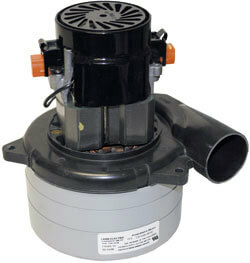 These thru-flow motors are used primarily in dry applications such as vacuum cleaners and dry tank vacuums. 1. 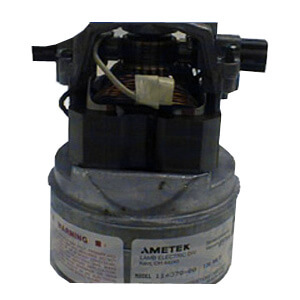 Disconnect motor from the power source before attempting any repair. Insert a standard blade screw driver between the top of the brush mechanism and the brush lead wire clip and gently tap the screwdriver handle until the clip touches the commutator. Some models have blade terminals on the brush holder. For these units, remove the connector from the blade terminal. 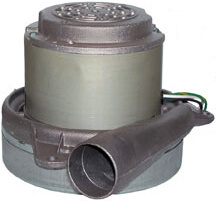 For bypass motors, it is necessary to carefully remove the ventilation fan cover first. Remove the brush clamp screws with a Phillips screwdriver. Once the brush mechanism is free, remove the brush clip. To install new brush mechanism, first insert the brush clip between the nylon insulator and the brass and push in straight by hand. Use needle nose pliers to gently seat the clip. 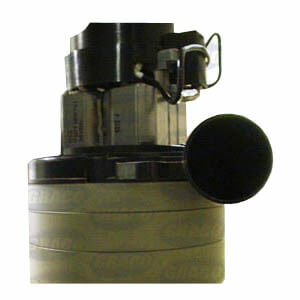 For the units with a blade terminal on the brass sleeve of the brush mechanism, push the connector on to the terminal. 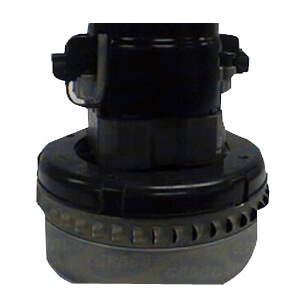 Insert the locator tab on the bottom of the brush mechanism into the corresponding hole on the top of the commutator end bracket and secure the brush mechanism with the brush clamp and screws that were earlier removed. Insert a blade screwdriver under the tab on the brush-retaining clip at the top of the commutator bracket and pry up to remove. Remove the brush mechanisms by disconnecting the field lead terminals. Install new brush mechanisms, first connecting the field lead terminals. 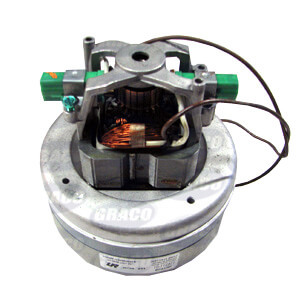 Insert the brush mechanism into the motor with the carbon toward the commutator. 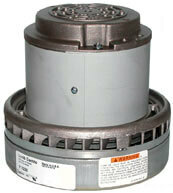 Make certain that the brush mechanism does not extend beyond the outside diameter of the motor. 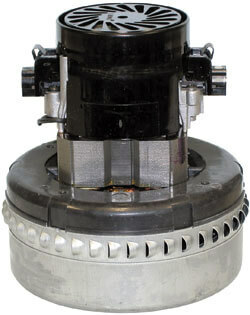 Replace the brush retaining clips, making sure that the clips are pressed below the top surface of the commutator bracket. 3. 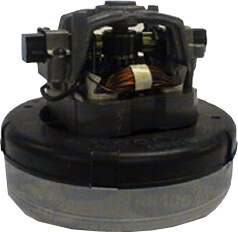 To properly seat the new brushes to the commutator face and enhance the performance and overall life of the brush, the motor must be run at half voltage for 30 minutes with an orifice plate. 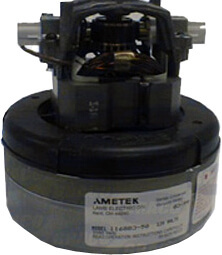 If a variac or other voltage control device is not available, two motors may be run in electrical series. 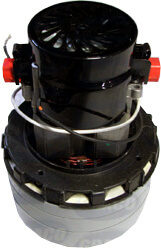 This reduces the voltage to each motor, as each will receive approximately half of the supply voltage. The following diagram shows the connection of two motors in electrical series. Connect one lead from each motor, using a wire nut. Connect the other two leads to the power source.